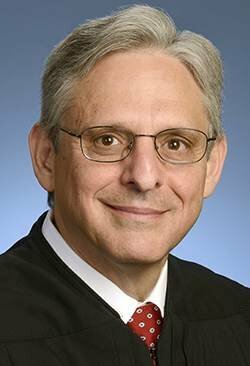 President Barack Obama, in his weekly address, discussed his nomination of Chief Judge Merrick Garland to the U.S. Supreme Court, and said heated political season aside, the appointment of a Supreme Court justice should be taken seriously. The president again called on Republicans in the U.S. Senate to give Garland a fair hearing and a vote. The address is available online here. Hi, everybody. One of the most consequential responsibilities our Constitution grants a President is appointing a Supreme Court Justice. The men and women who sit on the Supreme Court safeguard our rights. They ensure that ours is a system of laws, not of men. And they’re given the essential task of applying the principles written into our founding documents to the most challenging questions of today. So this is a duty I take very seriously. It requires me to set aside short-term politics in order to maintain faith with our founders. And on Wednesday, after weeks of consultations with Republicans, Democrats, and leaders across the country, I selected a nominee whose unmatched experience and integrity have earned him the respect and admiration of both parties – Chief Judge Merrick Garland. Chief Judge Merrick Garland, in 2013, in Washington. Judge Garland grew up in my hometown of Chicago, with parents who taught him to work hard and deal fairly. As a young lawyer, he left a lucrative private firm to work for half as much in public service. Eventually, he oversaw the federal response to the Oklahoma City bombing, working side-by-side with first responders, victims, and their families to bring justice for an unspeakable crime. And everywhere he went during that investigation, he carried with him in his briefcase the program from the memorial service with each of the victims’ names inside. For the last 19 years, Judge Garland has served on what’s known as “the second highest court in the land” – the D.C. Circuit Court – including the last three years as Chief Judge. On the bench, he’s shown a dedication to protecting our basic rights. A conviction that powerful voices must not be allowed to drown out those of everyday Americans. An understanding that justice isn’t simply abstract legal theory; it affects people’s daily lives. And a spirit of decency, modesty, and even-handedness in his work. Judge Garland is admired for his courtesy, his devotion to family, and his civic-mindedness – for the past 18 years, he’s served as a tutor for young students at a local D.C. elementary school. During my time as President, through three separate Supreme Court appointments, in conversations with Republicans and Democrats alike, one name came up more than any other – Merrick Garland. I understand that we’re in the middle of an especially noisy and volatile political season. But at a time when our politics are so polarized; when norms and customs of our political rhetoric seem to be corroding – this is precisely the time we should treat the appointment of a Supreme Court justice with the seriousness it deserves. Because our Supreme Court is supposed to be above politics, not an extension of politics. And it should stay that way. So I ask Republicans in the Senate to give Judge Garland the respect he has earned. Give him a hearing. Give him an up-or-down vote. To deny it would be an abdication of the Senate’s Constitutional duty. It would indicate a process for nominating and confirming judges that is beyond repair. It would make it increasingly impossible for any President, Republican or Democrat, to carry out their Constitutional function. To go down that path would jeopardize our system of justice, it would hurt our democracy, and betray the vision of our founding. I fulfilled my Constitutional duty. Now it’s time for Senators to do theirs. I hope that they take the time to reflect on the importance of this process to our country. I hope that they’ll act fairly. And I hope they’ll work in a bipartisan fashion to confirm Merrick Garland to the Supreme Court. That’s how we can uphold our pledge to liberty and justice for all – for our time and for generations to come. Thanks everybody. Have a good weekend.